The final economic trends survey of 2018 reported on business experiences during October, November and December. The quarterly survey gathered information across a range of metrics to assess business confidence, the operating landscape, skills and the overall perspectives of business for 2019. The survey findings also reflect that 37% of businesses have a dedicated team member preparing for Brexit scenarios, with 5% engaging a private sector consultancy to support preparations. 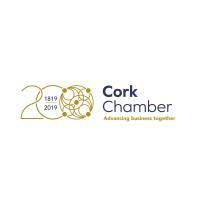 Respondents to this survey are reflective of a diverse range of responding businesses and are representative of a broad range of sectors, inclusive of Services (including Financial) at 39%, Industry and Manufacturing at 17%; Science and Technology at 8%; Tourism, Travel, Culture and Arts at 15%; Construction at 10%; Transport at 4%; and Multi-sectoral at 7%.